Film Bearings are key item of high speed rotating machinery. Bearings act as a tribo mechanism for rotating shafts are employed in industrial machines such as steam and gas turbines, turbochargers, internal combustion engines, reciprocating and centrifugal compressors for power transmission. So, it is important thing to design without rubbing and instability problems. KIST performed that analysis, design and testing of varied type journal bearings such as oil/air lubricated Journal/Thrust bearings in air craft engine, marine ship and industry turbo machinery. 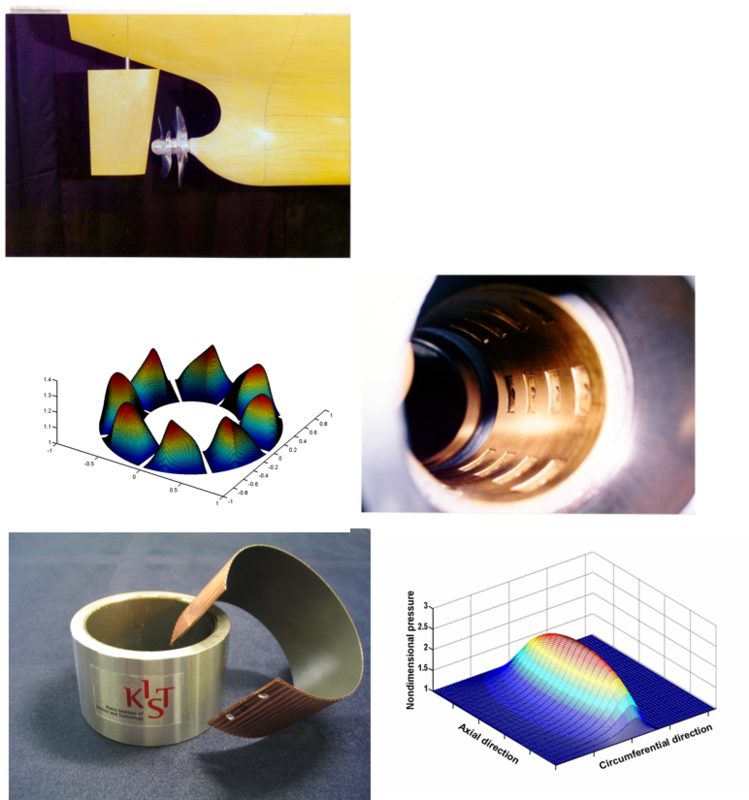 Our research based on the fundamental FDM(finite difference method) were performed journal and thrust bearing design. Especially, we have much experience to extract bearing parameters related with dynamic characteristics such as stiffness and damping coefficients. - Analysis of pressure distribution in the film.